There are 4 major flexible award programs: Citi Thank You, Chase Ultimate Rewards, Capital One, and American Express. Keeping a healthy balance in each program means broadening your ability to redeem through increased partners ( Like Avianca ) and those programs which are repped by all 3 ( Singapore, FlyingBlue, Virgin Atlantic ). Having the ability to transfer into more programs means increasing the probability that you’ll land the redemption you desire. If you don’t have any exposure to Citi’s Thank You program – this is a very good time to jump in. $95 annual fee waived first year. In fact, the feature image is courtesy of a Citi Thank You partner, Air France. Some of these partners may be unfamiliar to you, but many of them have incredible sweet spots hidden within them. For instance, Etihad, who is famous for their insane premium cabins, has one of the best charts for flights on American Airlines. In fact, you can still fly to Asia for just 50k miles if you use Etihad to book AA business class. That’s phenom. I also just utilized Air France’s FlyingBlue program to fly from Paris to Washington D.C. in business class for 55k points. It’s arguably the best business class across the pond! You can also create Citi Virtual credit card numbers for increased privacy. We wrote an entire article on Virtual numbers here that you can read. Why you may want to wait. If a uber premium card is more your thing, Citi is releasing their revamped Citi Prestige at the end of the month. We haven’t been given details regarding the sign up bonus, but it will carry a $495 annual fee. 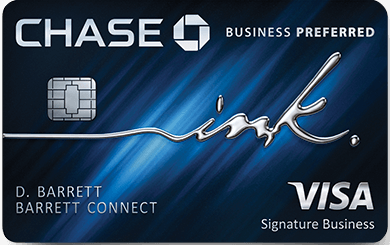 Since Citi limits sign up bonuses to every 24 months within a family of cards, if you were to get this card now, it would preclude you from qualifying for that sign up bonus. With a waived annual fee, an a near all time high 50k point welcome offer, and great category bonuses – it’s well worth considering.